Why are Blackberries so popular with Hip-Hop Stars? It has always fascinated me that Blackberries have such a niche in ghetto/urban style. They crop up in hip-hop lyrics all the time, the stars are often photographed clutching them to their ears. And lets just say that for every knitted iPhone cosy, there’s a Blackberry with a customised patent leather case with the owner’s initials tooled on in Swarovski. Even Apple’s high status pricey iPhone doesn’t have the same high-end brand cachet. And Android and Samsung etc just don’t rank. (Though if you know a hip-hop lyric about a Galaxy S2, please tell me). I got thinking about Blackberry’s ghetto status again this morning at the launch of the new Blackberry 7 phones (nice btw, check out the new Bold 9900) – because we were shown a video about Blackberry users which showcased business people, dairy farmers, working parents and dieters and then Tinie Tempah and Drake. Drake (god love him, I won’t talk about my feelings for him here) said that he writes most of his lyrics on his Blackberry. Tinie murmured something about how they were real and he liked BBM. We know you do Tinie, you sing about it all the time. Celebrities tend to have Blackberrys and I’m told, by a reliable source, that they’re very common in the fashion industry too. Why do celebs love Blackberries? So why do hip-hop stars and fashionistas like them so much? Don’t they know that there are way more apps on iOS devices? That the touch screens are more responsive? I guess they do, but they still go for Blackberry over iPhone. I can think of two reasons. 1) Security. Blackberrys route carrier data back through their own servers. This makes them much harder to tap or compromise. In this age of phone-hacking, that’s a big deal for someone whose life is likely to be under scrutiny. 2) Reputation as a businessman’s phone. The Blackberry is the phone of the powerful, the people who make deals and sit in the Oval Office. Not the sort of people who like retro photo apps and have time to play Angry Birds. I think people who want to take themselves seriously often get Blackberries. Let’s face it, iPhones are still associated with layabout hipsters who like taking pictures of themselves. This isn’t just me mouthing off about celebrities, it’s a signficant commercial factor. People do what celebrities do – and though tech journalists may harp on about operating systems – the bulk of the population will pay more attention to what their favourite singer is holding in the magazine photos. Blackberry’s status with celebs is a major brand asset for RIM and one that even Apple can’t match. Well, yet anyway. Related: Why do Blackberry users get so addicted? Five reasons..
After Duncan Bannatyne threatens to break someone&apos;s arms: Should we only tweet things that are true & responsible? This article is ridiculous. “… niche in ghetto/urban style.” The writer should have just said, “Blacks use Blackberry because they think they are “black” berries.” Why couldn’t the writer leave the “ghetto” out of it? Is “ghetto” a Jewish reference and this writer is a Nazi? Or is it a reference to a poverty stricken urban area? I do a lot of work in poverty stricken areas, and I don’t see people with Blackberry. As far as music, you must be really outdated. Everyone from Soljah Boy to Rick Ross talks about the iPhone in there rhymes. Music videos, I see iPhones. Movies and TV, I see iPhones. 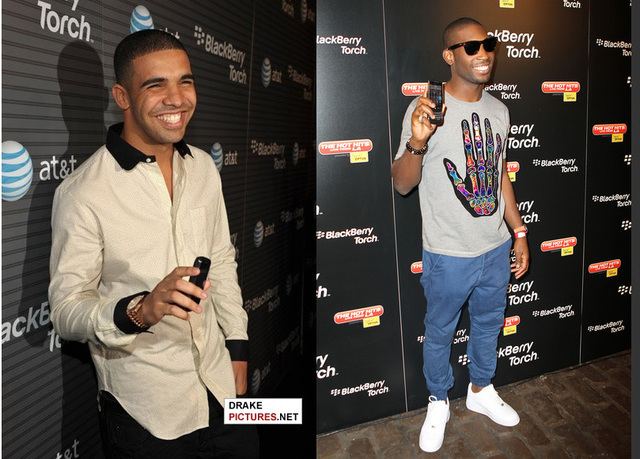 Drake & Tinie are a far cry from “urban” lifestyle. They are more like “suburban” lifestyle. You are so misinformed on the topic, I wonder where are you from? You sound like someone’s grandmother. From a consumer stand point, Blackberry has been the most affordable phone for a while. They are always having “2 for 1” deals.